"A colorful and hilarious game"
Developer Nick Zangus has produced some fantastic games over the last couple of years, and they normally follow a fairly simple but addictive premise and objective mixed with bright colors and fun looking character animations and he has kept up that tradition with Blow the Hens Down which is a bright and fun pirate game. 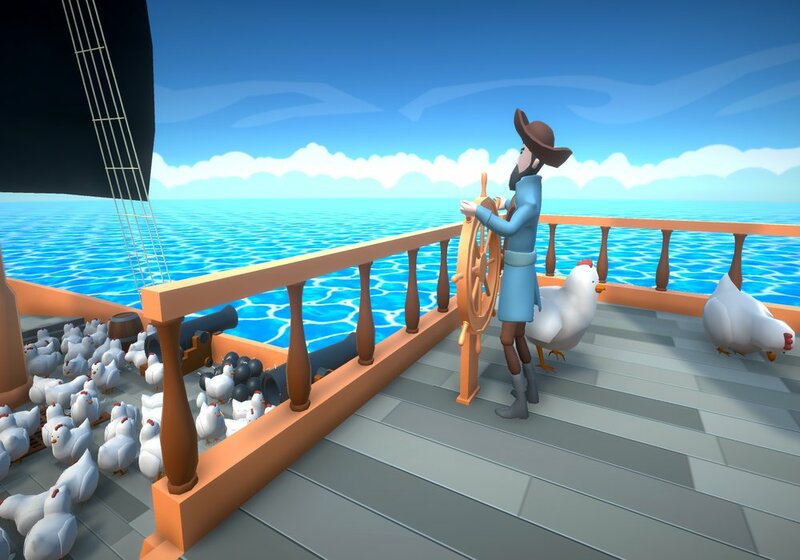 You play as one of two pirates on a ship who have rather stupidly decided to bring a group of hens on board the ship without thinking about the implications of them multiplying and if the problem of running out of space on your boat but also too many chickens could mean that it sinks. How will you solve this problem? 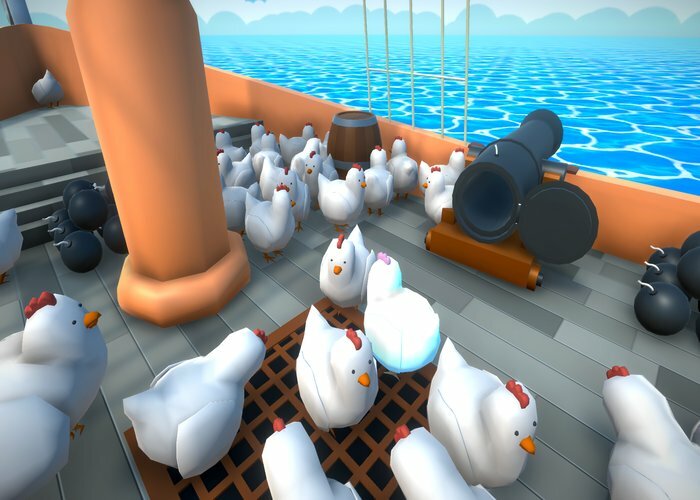 Well fire the chickens out of the ships canon seems to be the most logical conclusion! 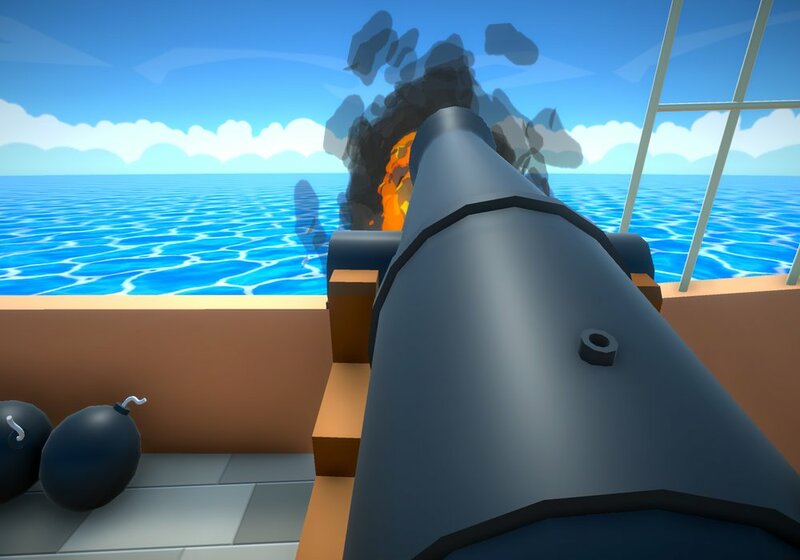 It is then a race against time (and chickens) to see if you can fire them out the canon before to many multiply. The game has a fun premise and as previously mentioned it is in its developers normal style however there is no denying that it becomes repetitive quite quickly and isn't quite as much fun as Mr Zangus's previous works such as Handle With Care. You can download Blow the Hens Down here for free.